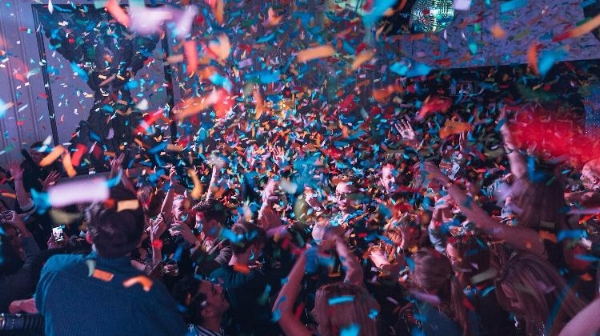 A debutante to the South London festival scene, Brixton Disco Festival is an all day celebration of 40 years of disco, with live music, DJs, food and drink coming from a collective of some of Brixton's best venues and going all the way through to 4am the next day. 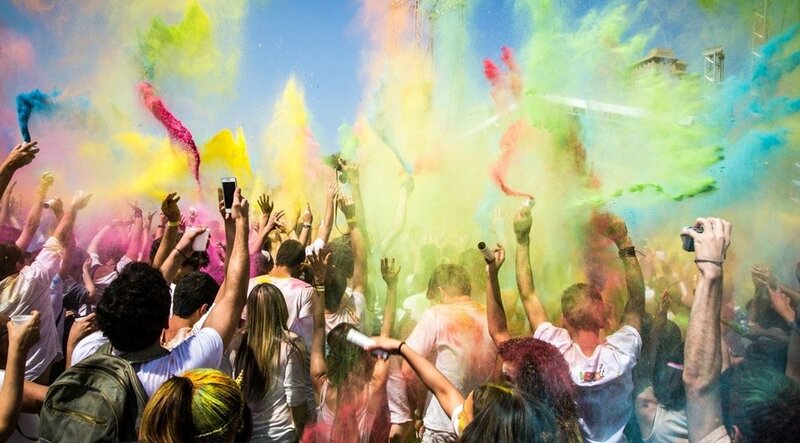 We all know Brixton knows how to party, so what better way to kick off your festival season? Tickets are nearly all gone so grab 'em while you can. Explore the wacky world of the Wandsworth Fringe for an eclectic showcase of local talent. Featuring shock and awe courtesy of Battersea Circus Garden - an international Circus collective of cabaret, comedy and classic circus fare - it's a chance to revel in all the arts and culture the borough has to offer. From installations and performance art to stand-up, satire and protest, it's a day guaranteed to inspire and to entertain. Now in its third year, the Peckham Rye Music festival is a weekend of appreciation for the area's lively music scene. Last year's stand outs were Church's rooftop set with a special appearance from Axel Boman, Octo Octa and inclusive all-female collective Rhythm Sister. It's guaranteed to be a bassy and breezy start to the summer in Peckham. Migrating a short distance from last year's site at Brockwell Park, newcomers Gala are keeping things intimate in a woody corner of Peckham Rye park this May bank holiday. With an emphasis on local and emerging talent, look out for Peckham heroes Bradley Zero and Rye Wax as well as Horse Meat Disco, Derrick Carter and Honey Dijon. Chow down on heavenly offerings from local faces Slow Richie's and Otherside Fried among others and top it all off with a cold one from Brick Brewery in the sun (fingers crossed). 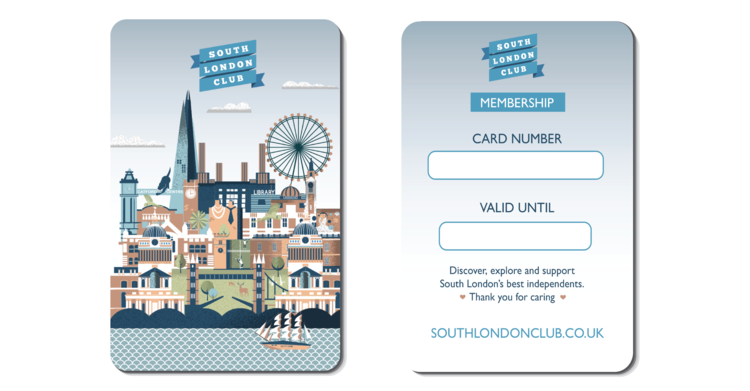 The month of May sees 21 free screenings held across a number of venues in SE24. With a programme that includes some of the most exciting and critically acclaimed films of the past year - including, for example, Three Billboards Outside Ebbing, Missouri and Get Out - as well as smaller titles with a connection to the local area and some hidden gems everyone should see - like Being Blacker, a portrait of Brixton Reggae hero Blacker Dread, which features a Q+A with film's director, Molly Dineen, on the festival's closing night. The programme also features film workshops and a 48 hour film challenge for budding directors, and is partnered with Norwood and Brixton Foodbank, to bring awareness and support to those in need in the local area. - 1st & 2nd June 2018, Brockwell Park. 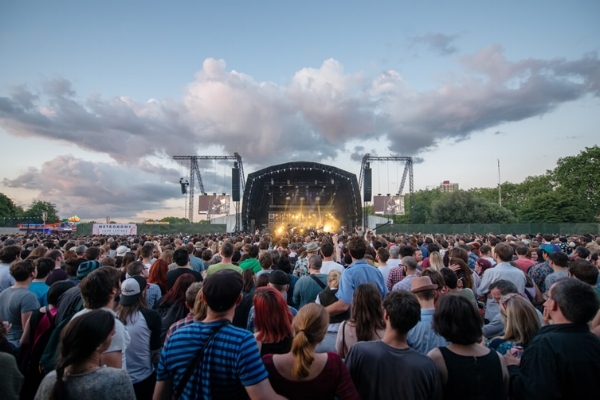 After some strong opposition to the large number of applications to host festivals in South London's prime patch this summer, Field Day was one of the last men standing - with Lovebox and Citadel Festivals being moved along to Gunnersbury Park. This year, Field Day is moving over the river from its regular spot at Victoria Park and is bringing in the big guns: Erykah Badu, Gilles Peterson, Loyle Carner, Earl Sweatshirt, Princess Nokia and many, many more. This showcase of London's alternative club scene takes to the stage the day after Field Day. 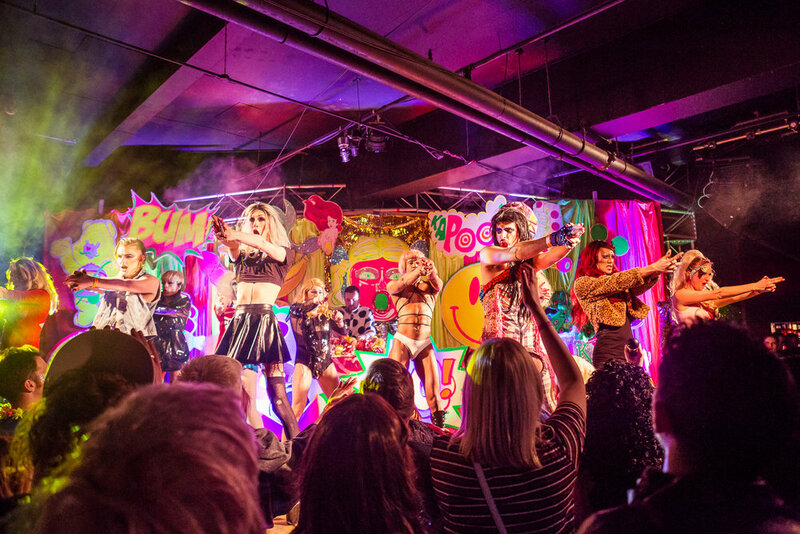 These guys came to play: with headliners Lily Allen and TLC and an impressive lineup that mixes a dash of nostalgia (think Five, B*Witched and Melanie C) with a healthy swig of queer night life institution in the likes of Sink the Pink and South London's own The Grand. It might be the day after Field Day, but this one's surely a tough act to follow. 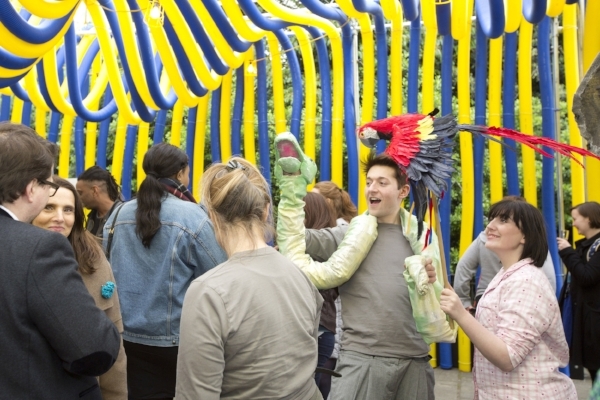 Held in the first week of June each year, Brockley Max is a nine day community arts festival celebrating local talent. It's a not-for-profit events committed to being accessible to all, and most of the events are completely free. Following an open air concert held outside Brockley station on opening night, you can expect music nights, poetry readings, art installations and collaborative projects, dance workshops, film nights, talks, street theatre, interactive games and craft events. Plenty of fun to be had by all, and if you fancy getting even more involved, they are always looking for volunteers - sign up here: volunteer@brockleymax.co.uk. One of London's largest free cultural events, last year's hosted nearly 30,000 people and this time around there's expected to be even more. It's a great week to be a part of, featuring a celebration inclusive of all parts of the community, with an intergenerational dance performance in the park and concerts by the London Mozart Players at various care homes in the surrounding area. Two weeks of stunning performances and installations exploring everything from love to mortality to performing pigeons. Not to be missed are 'Belly of the Whale', a dance piece performed on a giant rolling see-saw that rocks with the dancers' movements, and 'Sorriso', a moving Portuguese performance exploring enduring love between an elderly couple, performed entirely on stilts. 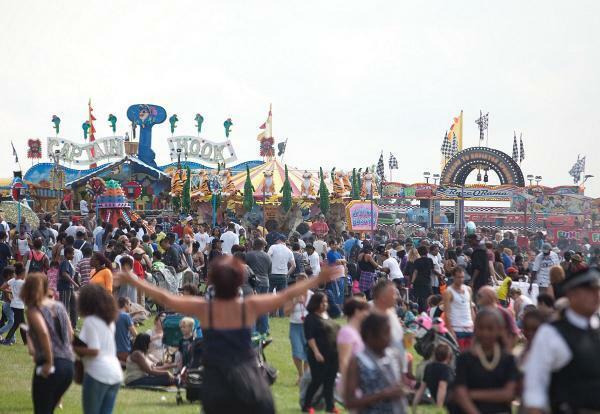 Southeast's longest running free festival, now in its 34th year, Lewisham People's Day is a truly special coming together of community, held in Mountsfield Park, Catford. Expect a day packed with interactive performance, craft fairs and local food. 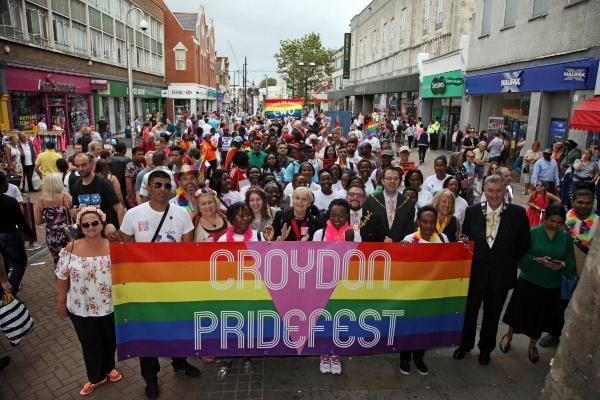 Details are yet to be released regarding the specifics for this year, but if last year's parade celebrating 50 years of campaigning for LGBTQ equality is anything to go by, you know it's bound to be a truly glorious celebration of love in all its beautiful, colourful forms. Think comedy and cabaret performances plus get down to live music and the general joyous vibes of the parade. This summer brings us 2 events over 1 weekend on Streatham Common. Saturday is dedicated to Old Skool party anthems, featuring the best of Garage, R&B, Drum & Bass and more courtesy of Kisstory radio. On Sunday the site gives way to One Dance Festival, sticking with the Old Skool theme but also featuring live acts like the Artful Dodger. An all-day rave serving up 10 straight hours of forgotten and not-so-forgotten gems from the Garage, House and R&B scenes. Throwing it all the way back, this is definitely one to look forward to - So Solid Crew have been confirmed as headliners, that's some legit nostalgia right there. This Dance music extravaganza first descended on Morden Park last summer, moving down from its previous site in Hertfordshire. It's a proper dose of sun-soaked hedonism with a lineup to match. 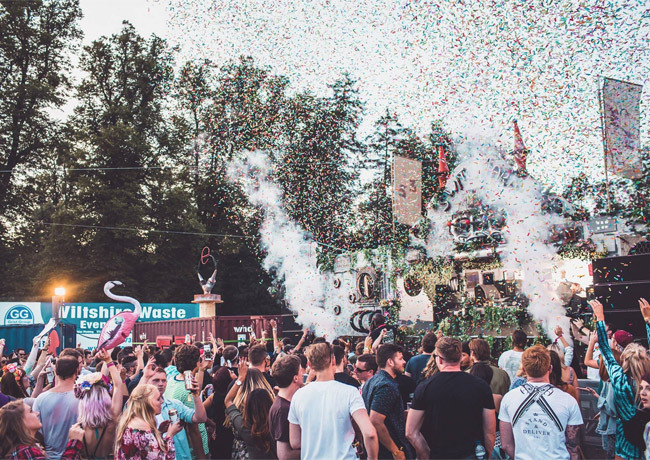 Captained by none other than the Godfather himself: David Rodigan, other acts include Jamie Jones, Eats Everything and an extended set from Skream. Late in August comes a name that's recognised across the global dance scene and draws in acts and crowds from all over: South West Four. Settle in for a big 48 hours of Electro, Techno, Trance and House - the lineup already includes Craig David, Dizzee Rascal, Chase + Status and Andy C with many more to be announced, in case you needed convincing. London’s big end-of-summer party, ONBlackheath, will return to the capital once again this year. 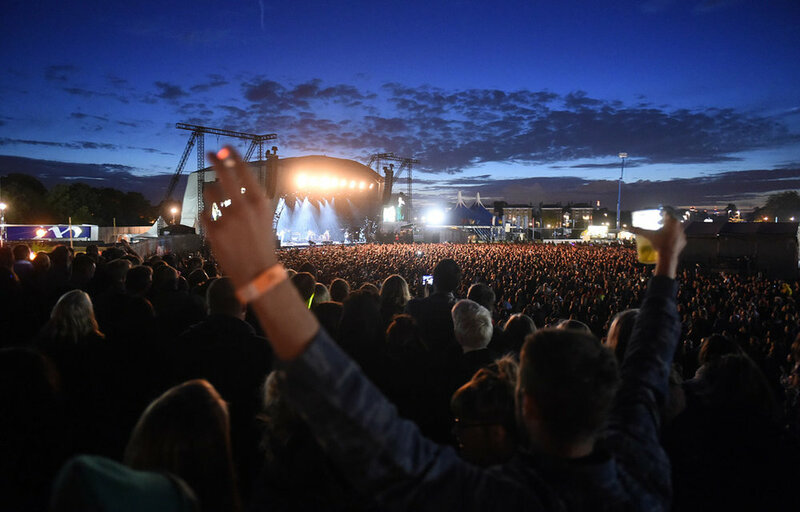 The huge two-day music and food event will take place on the beautiful green spaces of Blackheath, with another stellar music line-up at its heart. Headliners Squeeze and Paloma Faith will be joined by Corinne Bailey Rae, De La Soul and Billy Bragg, it really is the sweetest way to kiss summer goodbye.